Visual Dimension bvba is a Belgian company active in digital heritage and architecture. In digital heritage, it specialises in virtual reconstruction of historical sites and landscapes, and in digitisation and digital restoration of museum objects. The company was founded in 2003 by ir. Daniel Pletinckx and ir. arch. Veerle Delange. Daniel Pletinckx has international experience in digital heritage since 1997. 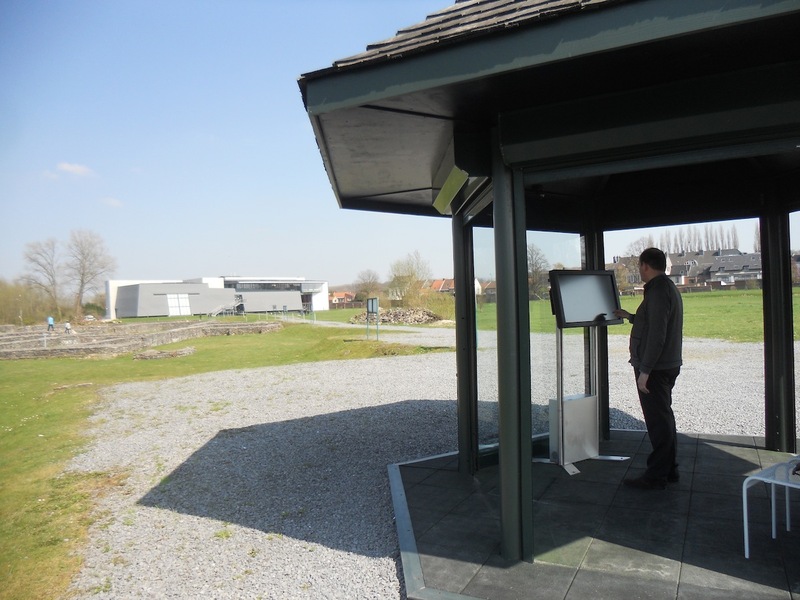 He started his career in digital heritage by making the specifications of the TimeScope system on the archaeological site of Ename, Belgium. This blog shows and documents the recent virtual reconstruction process of the Benedictine abbey of Ename by Visual Dimension, based upon the work done in the period 1997-2004. This abbey is well known through 30 years of excavations since 1942, and through extensive research on the history of the site and the evolution of its landscape. 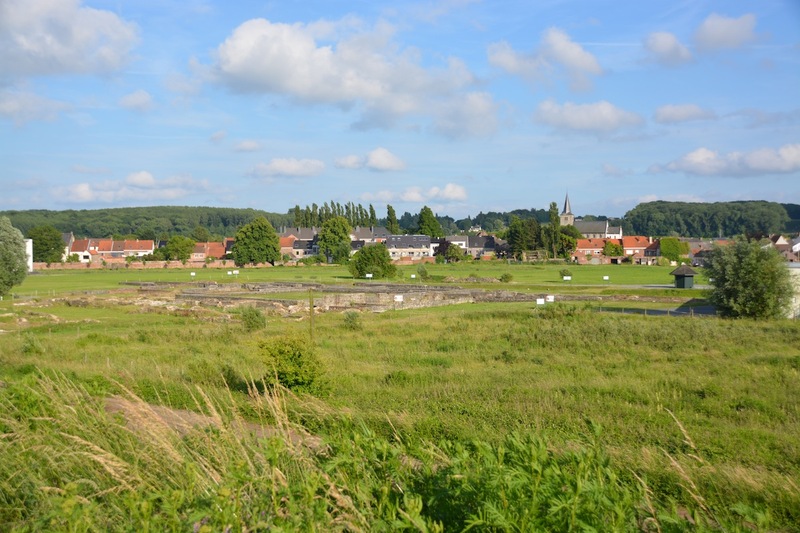 The remains of the abbey are still visible in the archaeological park of Ename but are difficult to understand or enjoy. 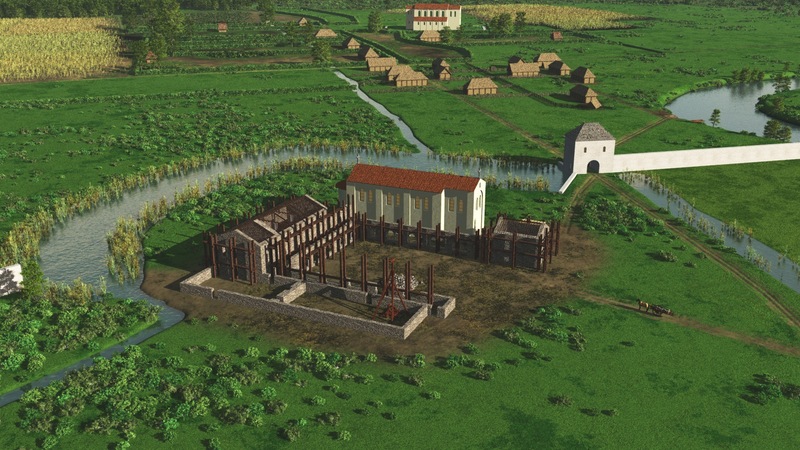 In 1997, Ename was the first site in the world to show virtual reconstructions of its abbey on site (TimeScope), so that visitors could see the evolution of the site over the last 1000 years and make the connection with the archaeological remains and the standing buildings that are preserved. 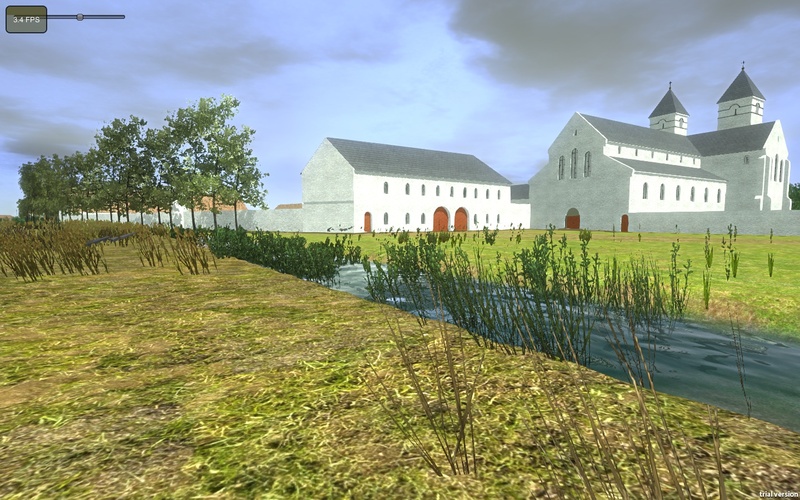 This blog shows how the virtual reconstructions of the Ename abbey are made, based upon the available archaeological, historical and botanical research, and how they are transformed into scientifically correct applications that can be enjoyed online, in the museum or on site in Ename. At the archaeological site, an interactive TimeScope system uses the virtual reconstructions to show the evolution of the abbey and make sense of the labyrinth of consolidated foundation walls, stacked upon each other over a timespan of more than 750 years. From the second floor of the Heritage Centre, the visitor has a splendid view over the archaeological site. In 2014, this Heritage Centre will host an international exhibition on the period in which Ename was founded. The 3D images and interactive models in this blog are based upon many years of work by a large group of people. Ename was excavated from 1941 tot 1946 by prof. A. Vande Walle, who passed away in 2006. There is currently an exhibition in the Ename Heritage Centre about his work in Ename, with the kind support of his family. After prospection in 1978, the site was excavated from 1982 to 2004 by the team of Dirk Callebaut. Historical research by several experts such as prof. em. Ludo Milis supported the interpretation of the site. Research on the historical landscape of Ename was done by Guido Tack and colleagues. 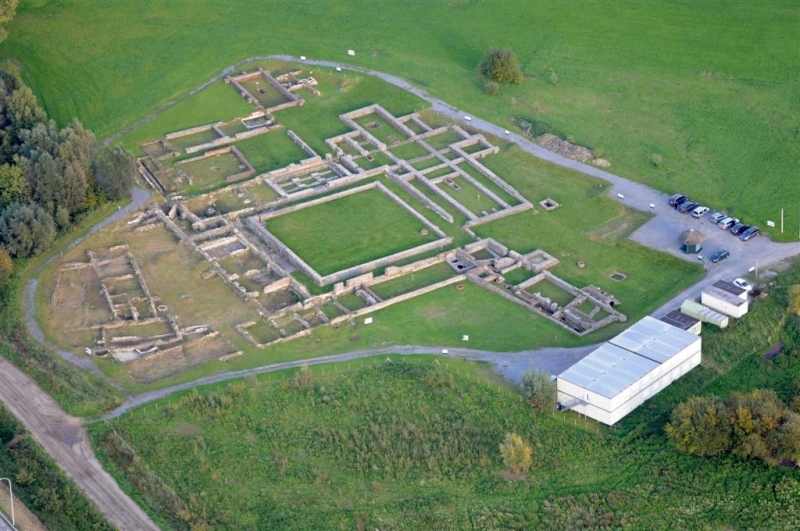 In 1998, the provincial archaeological museum of Ename was opened, directed by Marie-Claire Van der Donckt. This team manages the site and organises the many events in Ename, together with a local committee of volunteers. We thank all these people for their contributions to the information and conditions that make it possible to make and show these virtual reconstructions in the great setting of this heritage village. 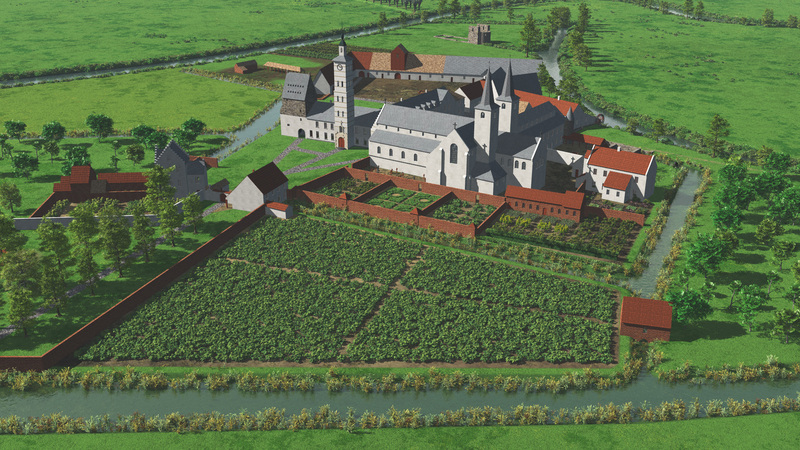 This blog is partially funded by the European 3D-ICONS project in which the virtual reconstructions of the Ename abbey will be made available in 3D through Europeana, the European digital library on culture. This blog also will contain interactive 3D that you will be able to explore.